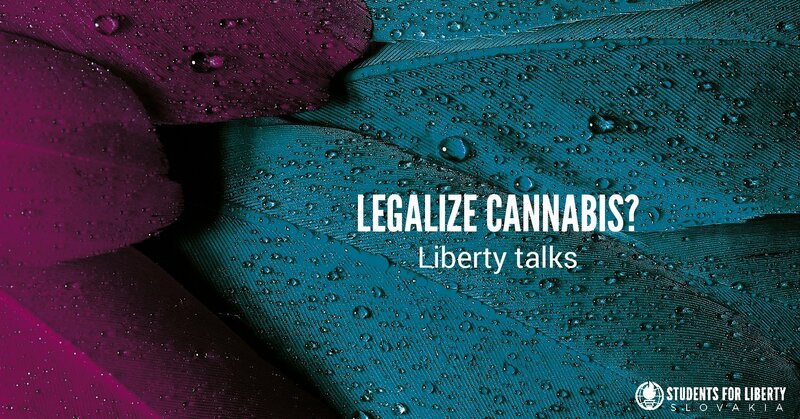 V poradí piata prednáška Libertytalks tento semester sa bude zameriavať na tému legalizácie marihuany a iných drôg. Prednášať budú Berfin a Melly zo Students for Sensible Drug Policy Osterreich. Prednáška prebehne v anglickom jazyku. Whats the current state of affairs when it comes to cannabis legalization all around the world? Which countries are the most progressive an which are lacking behind? You will learn more about this topic at our 5th Libertytalks this semester. Please welcome Orsi, Berfin and Melly from SSDP Österreich who will be giving a short lecture on the topic followed by an open discussion. Libertytalks are a series of informal lectures and discussions organized by Slovak Students For Liberty, a branch of European Students For Liberty. Slovak Students for Liberty is a non-political student organization dedicated spreading ideas of liberty and shaping new generation of young leaders fighting for these ideals.